Cala, meaning small bay, is my new favorite word. And Sardinia seems to be full of them! But most spectacular ones you’ll find on the Eastern coast, in the Ogliastra area. 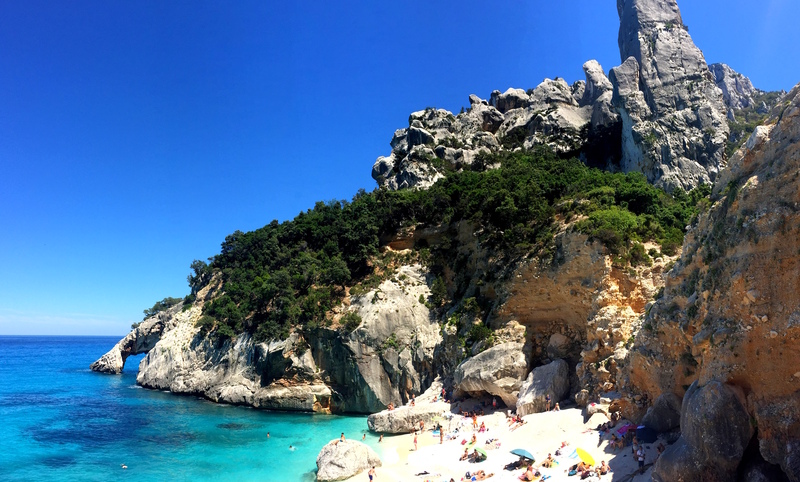 Today we already hiked to another one of them – Cala Luna. Set against a backdrop of steep limestone cliffs and caves, it is pretty amazing as well. 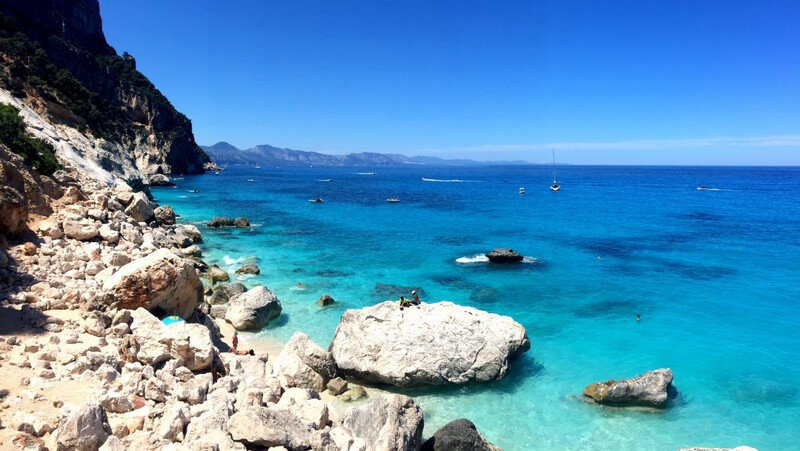 But this post is about Cala Goloritze. My favorite one. It’s unreachable by car or by boat but hiking for over an hour on mule track was well paid off. Its turquoise and azure blue waters are clear like crystal. It’s simply a must visit. 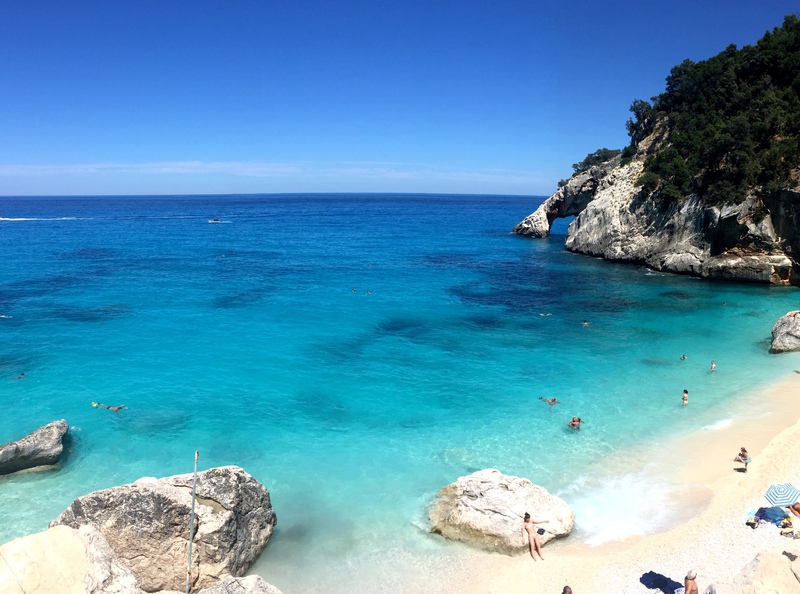 Cala Goloritze, you are a paradise! 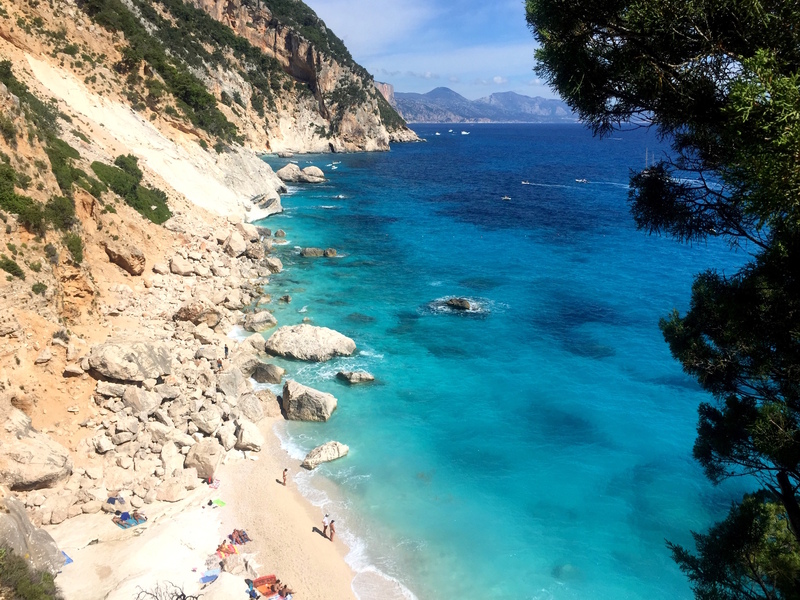 It truly is, one of most beautiful secret bays in Sardinia – but let me just say, it’s not that secret anymore. We started our hike in the morning and in some pictures, you can see that in the afternoon there were already a lot of people on the beach. I mean, there’s plenty for all, but still, to enjoy the bay more privately, I would suggest an early visit. The hike turns off some people I guess, but 500 m of elevation is not such a big deal. The thing with hiking to bays is, you’ll be doing the ascent at the end. 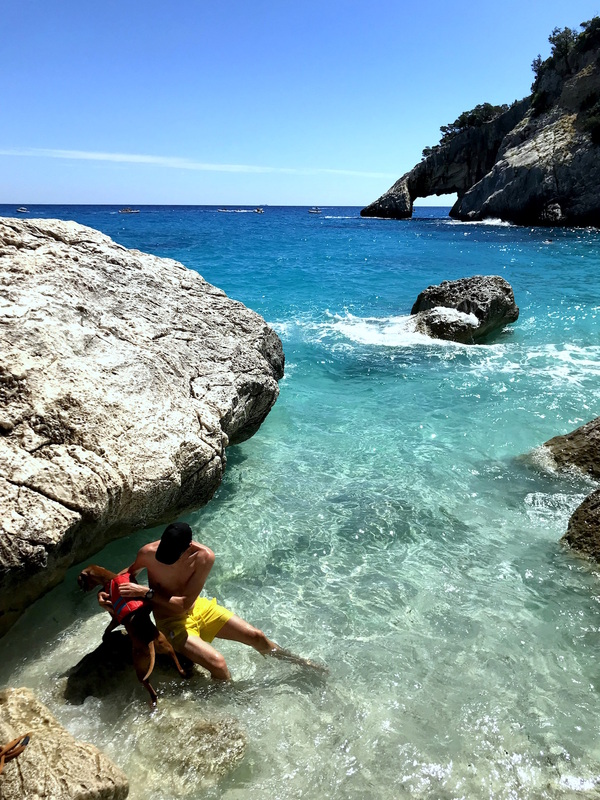 But so far, we had a lot of fun hiking from all the bays and looked at it as a good workout, even competing with the clock and trying to get up faster than we came down – so far we’re winning. Plus, most times, there are bars at the parking lots on the top to refresh (we would recommend the local Ichnusa beer). Just, go there. 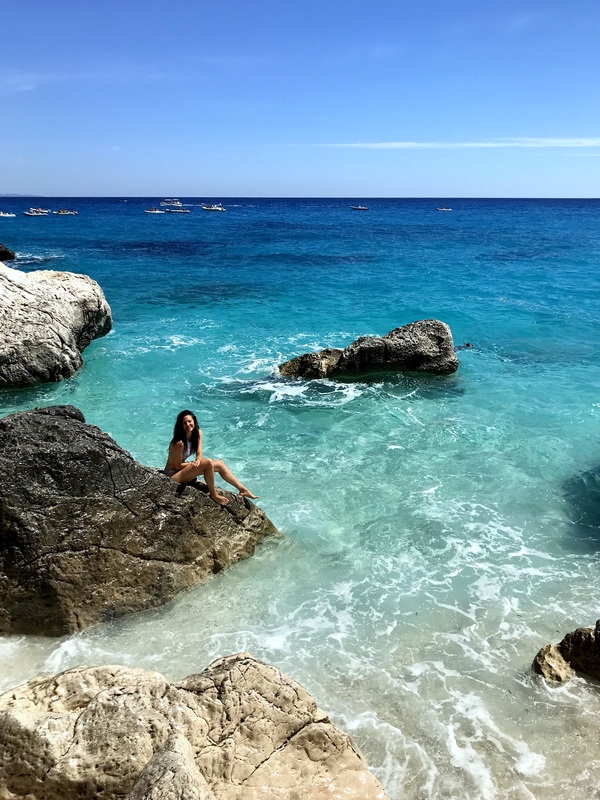 Enjoy in all of the shades of blue! I was in Sardinia last year and didnt go to Goloritze because I didnt have trainers and now I regret it haha. 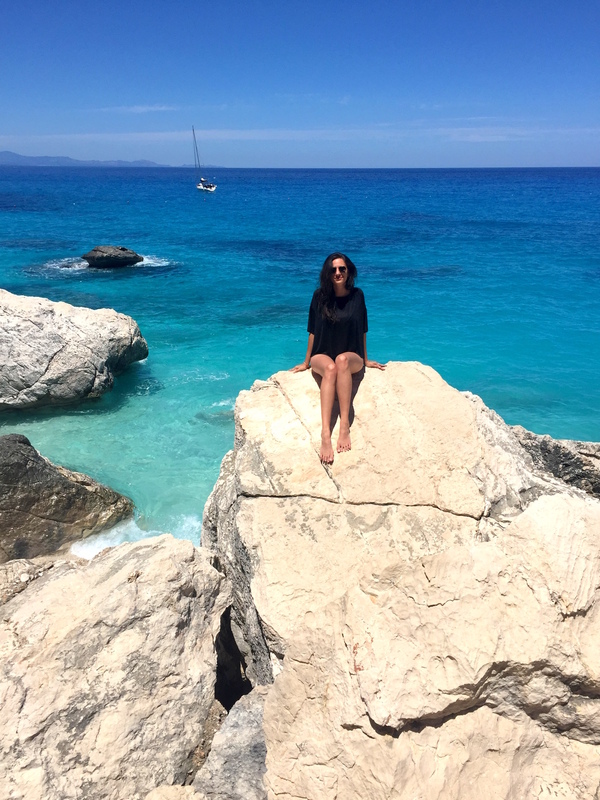 I found this site via your Insta – nice pics, I loved Sardinia as well. Ha ha, well you do need hiking shoes or at least some sturdy trainers to hike the trail easily. 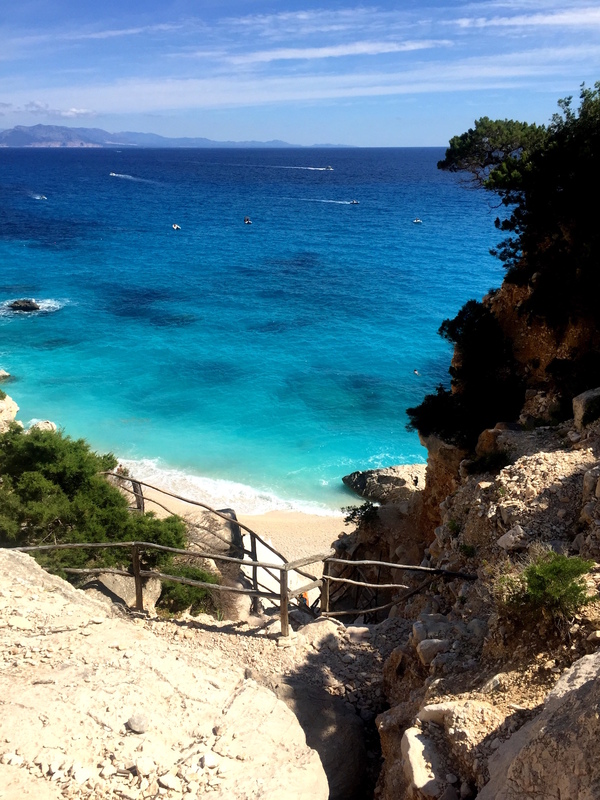 It’s steep and rocky – like all other trails in Sardinia! I suggest visiting it the next time around!